The Great Famine of 1845-1852 had resulted in Ireland’s jails being filled well beyond capacity, mainly as a result of the detention of the poorest in Irish society whose suffering had led them to petty larceny. McCarthy and Ó Donnabháin tell the stories of some of the first prisoners to arrive on Spike Island from other prisons – boys between the ages of 15-17 who were sentenced to years of imprisonment as a result of relatively petty crimes of larceny (McCarthy and Ó Donnabháin, Too beautiful for thieves and pickpockets: a history of the Victorian convict prison on Spike Island). One of the most famous prisoners held on Spike Island during this time period was leader of the young Ireland movement, John Mitchel. In 1848, Mitchel was arrested as a result of his call for armed rebellion. At his trial, with some confusion as to the charge against him, the jury said they found him guilty of “sedition, treason, or felony, it is all the same to us!”. Mitchel was sentenced to 14 years transportation, but before being transported to Bermuda, he was imprisoned on Spike Island where his high social status afforded him relative comforts not enjoyed by the ever-growing population of his fellow inmates. By the early 1850’s, Spike Island was the largest prison in Britain and Ireland – holding more than 2300 prisoners. The conditions of the overcrowded prison got worse with time and in the 36 years of the prison’s operation, over 1,200 convicts died on the island (McCarthy and Ó Donnabháin). Eventually the prison was closed in 1883. Spike Island was used as a prison again in the 20th century, famously holding over 900 Republican political prisoners during the War of Independence. Again between 1985 and 2004, Spike Island operated as a prison for young offenders. Many of the buildings were destroyed during this time as a result of a riot that broke out in 1985. 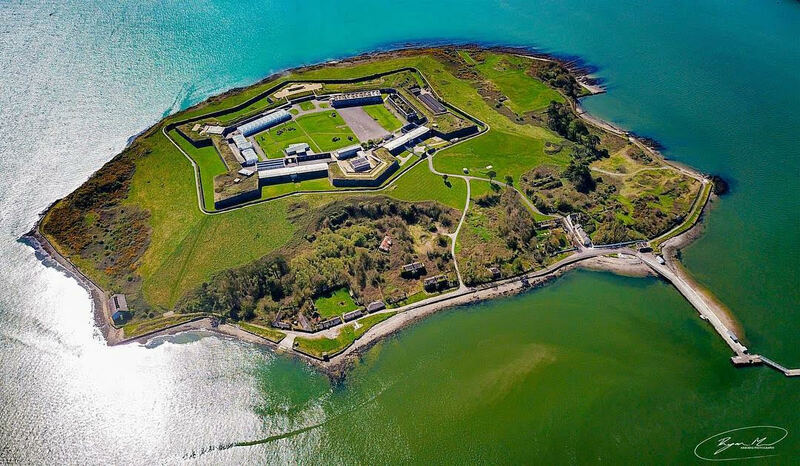 Today Spike island is a tourist attraction where people can tour the fortress and learn about the rich heritage of “Ireland’s Alcatraz”.